When talking about fires, terms such as fire-starting material, kindling, tinder and good wood come up a lot. 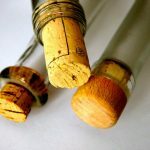 However, they don’t do much to explain how big or long items should be, or how much wood you will need to get started. 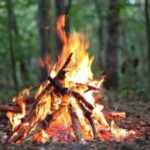 Below is a simple guide that can help to ensure that you are gathering the right material as well as enough to build and maintain your next fire. The first trick to remember is that it’s better to gather all of the material that you will need before you start any fire. 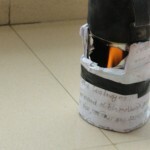 This will prevent you from wasting matches and fuel if fires go out while you are building them. 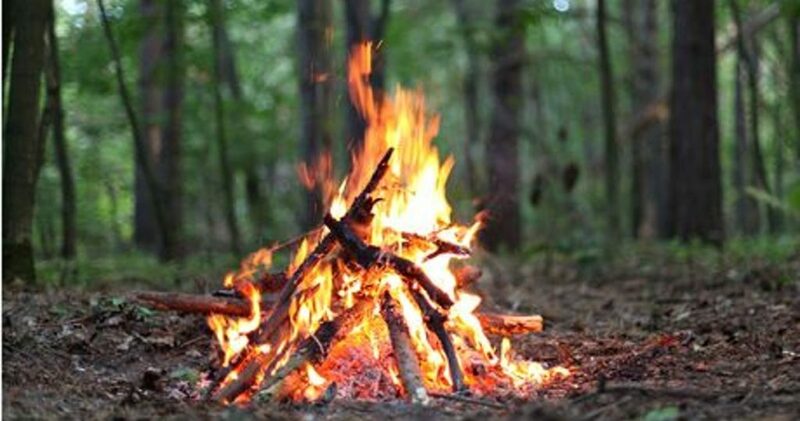 The second trick is to build the fire as you go, starting with the smaller items first and adding the larger pieces once it is established. 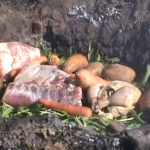 You don’t need to build the perfect fire frame beforehand. In fact, this can often be counterproductive if the kindling and tinder fail to ignite the larger pieces. This can also lead to wasted matches and fuel. Tinder is the smallest piece of the fire-building puzzle. 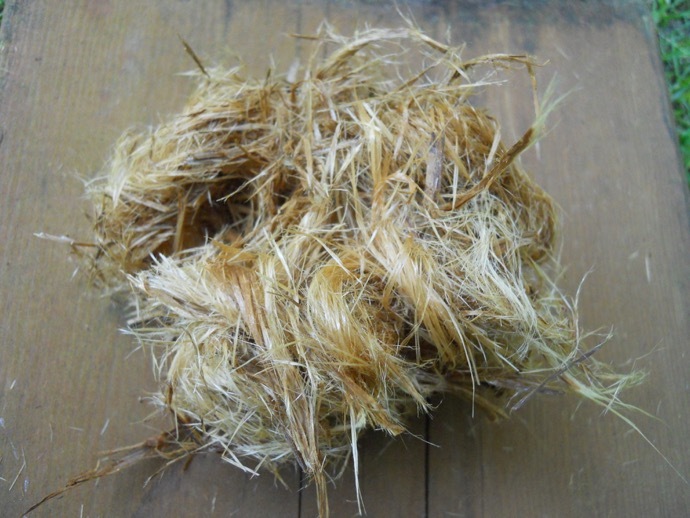 It is made up of tiny twigs, dried grass and other forms of debris that can burn easily and ignite larger items. You want tinder to be a mixture of items listed above, but you also want a good number of twigs to create a small tepee frame. The thickness of tinder should be around the size of the tip of a pencil or a tiny bit larger. Aim for twigs that are at least as long as the space between your thumb and pinky when your hand is outstretched. Make a circle with your hands by touching your fingers and thumbs together. This is how much tinder you want to gather to start an average fire. 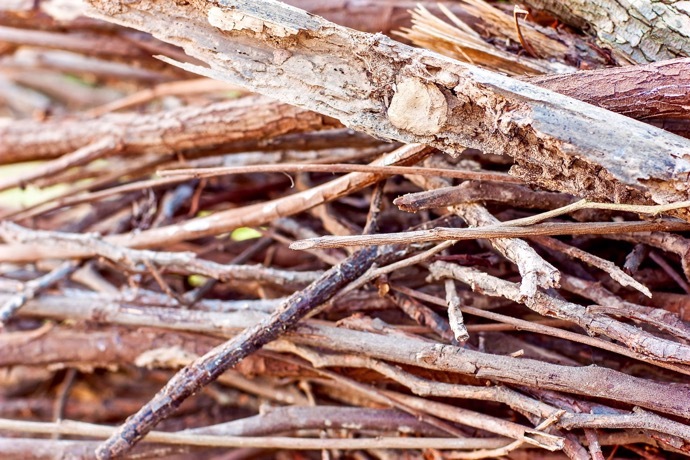 Kindling should consist of thin twigs, but bigger than tinder, and no thicker than the width of your thumb. You want to start with the thinner material, but make sure that you have an ample supply of the larger pieces as well. As a general rule of thumb, aim for 70% thick material and 30% thin. The items should be as long as the distance between your fingertips and elbow. Gather a bushel that is as big as the space when you form a circle with your arms and hands. 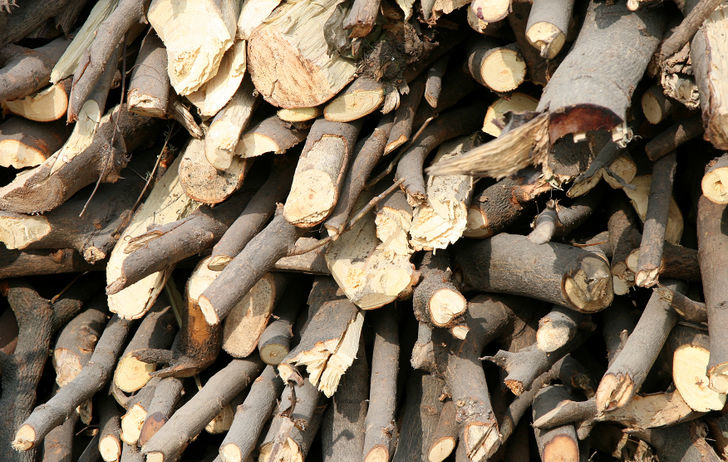 Firewood should be dry and as long as your entire arm and hand. As a general rule of thumb, the wood should be at least as thick as your wrist. Try to gather enough material to make a pile that is about knee high. Keep in mind that this is just a minimal estimate, so feel free to gather more wood to make longer-lasting fires. Take your tinder and bend it in half before placing it on the ground in an inverted “V” shape. Fill in the space beneath with your dried grass and debris. Light the fire and slowly add some of the kindling around the tinder. Start by adding three pieces and angle them so the tops intersect and lean against each other above the kindling. Keep filling in the spaces with more kindling and start adding thicker pieces as the initial pieces start to burn. Don’t completely encase the tinder in case you need to add some more material to get the fire big enough to light the kindling. 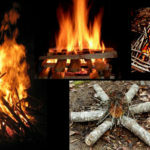 Start adding the firewood as the kindling is burning by repeating the process above. Slowly add more and more material until you’ve constructed a good frame and the fire burning the larger pieces. Add more wood as necessary to maintain the fire. You should also consider ringing the fire with round rocks once the frame has been established to radiate more heat while helping to contain the ash and embers that will form as the fire burns. Try this simple guide yourself, and see how easy it will be to remember out in the field. 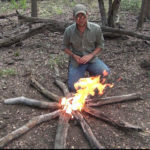 Following these steps can help your fire to start faster and burn longer. 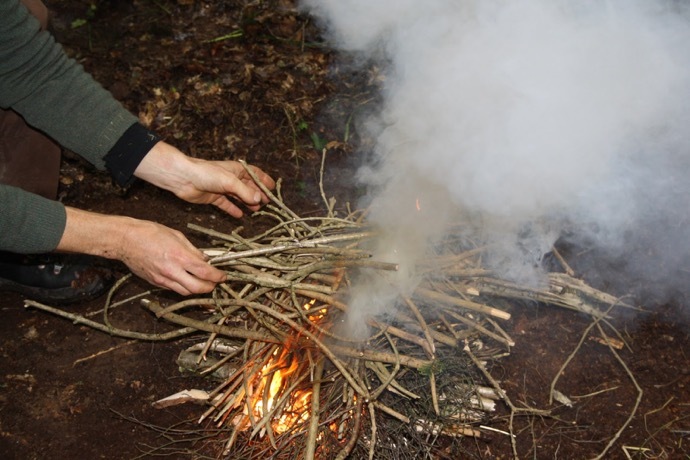 Always start small and work your way up in order to conserve matches, fuel and firewood. Just remember that the more you gather ahead of time will make it easier to light and maintain the fire.